Find the perfect digital camera. Digital cameras are one of Christmas' hottest items. However, there are now hundreds of units on the market and the decision about which to buy is not an easy one. Do you need a big zoom? What about manual shooting modes or image stabilisation? Well the good news is that whether you want a stocking-filler compact, a hefty ultra-zoom or a full blown SLR, we can help you find the right unit. Canon's IXUS 85IS is one of the most popular cameras in the world, and with good reason. It is the perfect combination of good image quality, nifty features and a petite, stylish design, making it the ideal happy snap camera. While it doesn't have a full suite of manual modes, it is a great backup camera and its 10-megapixel sensor snaps some fairly impressive shots. Furthermore, its 5x optical zoom, complete with image stabilisation, offers a fair amount of flexibility. See the review here: Digital IXUS 85IS. For users after something even more creative, the Olympus MJU 1010 is a great alternative. While not as tiny as the IXUS 85IS it is every bit as stylish, with Olympus' traditional wedge-shaped design and a solid metal body. It sports a 7x optical zoom with Olympus' duel image stabilisation, which is impressive for a unit of this size. In addition to all the usual compact camera features, the MJU 1010 also has a very funky onboard panorama mode that allows you to stitch together shots simply and easily. It's great for landscape buffs. See the review here: MJU 1010. One of the most expensive compact cameras on the market, the Panasonic Lumix DMC-LX3 is worth the money if you know what you're doing. A compelling option for the seasoned photographer, this unit brings a full batch of manual controls to the table and couples them with a fantastic 24mm, wide-angle lens and a retro design. Resembling an old-school film camera in many ways, the LX3's design should please enthusiasts. It's no slouch in the image quality department either, with the 10.1-megapixel sensor snapping some excellent pictures. If you're looking to upgrade from your current compact or you're after for a second unit to back up your SLR, this is a great choice. Check out our write up here: Lumix DMC-LX3. For some users, manual features aren't enough. In some situations, you need to be able to get up close and personal with your target — something that a regular 3x optical zoom just doesn't allow. This is where ultra-zoom cameras come in. Sony's Cyber-shot DSC-H50 offers all the manual features of other advanced cameras but also packs in a massive 15x optical zoom. This should be more than enough for even the most demanding photographer, and it allows for a lot more creativity in your shot taking. Its sensor only clocks in at 9.1 megapixels, which is a little low by modern standards, but it nonetheless captures some excellent snaps. If you can put up with the bulky and rather unattractive design, then the H50 is a great ultra-zoom camera. Read all about it here: DSC-H50. Available for well under $1000, Canon's EOS 1000D represents one of the best value propositions in the camera space. For the price you get a fully functional digital SLR with a lot of the bells and whistles of more expensive models. With a 10.1-megapixel sensor, this unit captures some truly impressive pictures. It also offers Live View, which makes it ideal for users uncomfortable with framing shots through the viewfinder, as well as dust reduction to make changing lenses less problematic. For users looking to take the next step up from a compact camera this is a fantastic option. You can read our review here: EOS 1000D. Sitting at the top of the heap is the Nikon D700. Where do you go once you've upgraded to an SLR you might ask? Well, a full-frame sensor is the next step up. Offering unparalleled image quality, the Nikon D700 is one of the best cameras on the market. 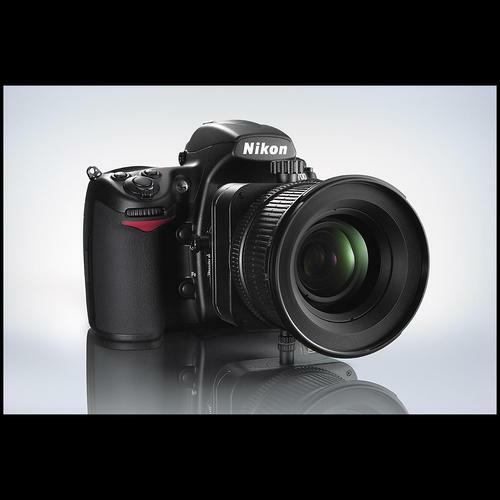 While it isn't quite as fast or powerful as its larger brother, the Nikon D3, the D700 also retails for several thousand dollars less and for the most part provides the same incredible quality, bucket load of features and speedy performance. This unit really is only for professionals or very serious amateurs, but if that sounds like you then it will fit the bill perfectly. See our write up here: D700.